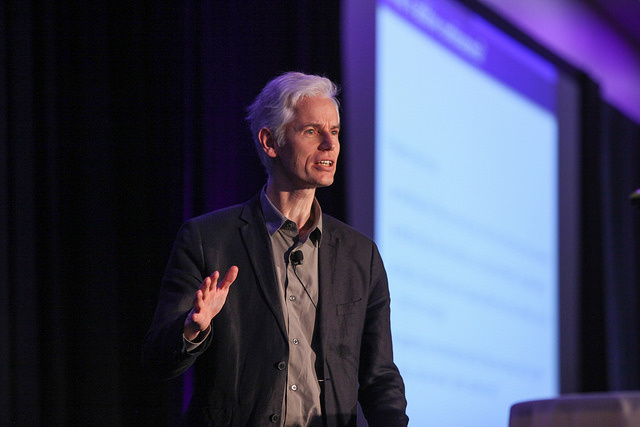 Fields Medal-winning Cambridge mathematician Sir Timothy Gowers and a team of distinguished colleagues are paving the way for editor-owned Open Access (OA) journals with the help of Scholastica. Making academic journal articles free to read and quick to access — that’s the mission of the growing open access movement. Cambridge mathematician Sir Timothy Gowers and a team of colleagues are leading the charge with today’s official launch of the game-changing OA journal Discrete Analysis. The journal will be owned by its editors, rather than a publisher middleman, and will follow the “diamond OA model,” meaning it will be free to read and publish in. We sat down with Gowers to learn more about Discrete Analysis, which will be peer-reviewed and published via Scholastica, and to discuss his vision for the future of editor-owned journals. What was your impetus for launching Discrete Analysis? TG: In recent years, I’ve joined a growing chorus criticizing commercial publishers, particularly the fact that the subscription fees charged by commercial publishers are generally harmful to academic institutions. I was very involved in the start of a boycott against Elsevier. At one time the answer seemed to be to switch journals from a subscription model to an article-processing charge (APC) model. But, I was taken aback by the hostility most mathematicians had towards the idea of it. I think even if APC journals did end up being cheaper for the community than subscriptions in aggregate, the model is just not appropriate. Meanwhile, I was interested in finding a better more radical solution to how we publish OA journals. An obvious idea that a number of people were discussing at the time was to create arXiv overlay journals. In this model the journal performs refereeing services but doesn’t actually publish articles, it links to them on the arXiv preprint server. I found some initiatives working to enable such journals, but they seemed difficult to set up and maintain. Then I found Scholastica and saw we could get the journal going quickly. What makes Discrete Analysis different from other arXiv overlay journals? TG: One of the things we’re doing that’s different is each paper we publish will have a description on the journal’s website, written by the editors, that will explain the paper and why it’s worth reading. We want our website to feel like a nicely-browsable library. I think the only barrier keeping journals from becoming online-only, and minimizing the need for publishers, is that some scholars feel print issues makes journals appear more high-quality. Discrete Analysis will have a high-quality website through Scholastica. Ours is easier to navigate and nicer than the websites of any other journals or commercial publishers I’ve seen. We’re showing that you can have an online reading experience that’s as high quality as print. We’re also not dividing our articles into issues. We’re going to have a rolling publication model – whenever a paper’s accepted we’ll put it up. What do you think are the benefits of publishing articles on a rolling basis? TG: First of all, why waste time waiting to publish a paper once it’s been accepted? Also, If you have journal issues – you’re implicitly admitting that the old way of doing print was the right way, and what you end up with is a pale shadow of a proper print journal. I don’t want to be that, I want to be aggressively modern. I want to use the internet properly – when you’ve got something, you post it. We’re not pretending to be a traditional journal, we’re something else. How do you hope Discrete Analysis will challenge current publishing models? TG: If somebody has an article they could send to Discrete Analysis and publish for free, if accepted, or that they could send to another journal and publish for $15,000 – I think the choice is a no-brainer. I hope others will see this. We’ll be able to cover all journal costs using a small grant from University of Cambridge. But, even if we ran out of money for some reason, I don’t think authors would mind spending $10 for a submission, which is all we’ll need to cover the Scholastica software for peer review and publishing. It seems like a much more reasonable model. We feel what we’re doing is critical, because it’s setting an example that academics can publish journals of the highest quality without a commercial entity. When it comes to increasing the number of submissions your journal receives, focusing on publishing and promoting premium scholarship is paramount. To truly assess the performance of your journal and garner insights to grow your readership, having access to basic publishing analytics is a must. Here are 3 analytics areas all journals should focus on and why.